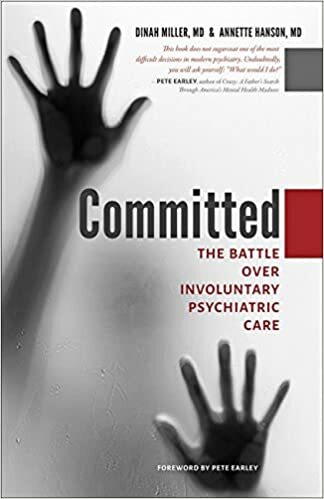 As you may know, ClinkShrink and I are the authors of Committed: The Battle Over Involuntary Psychiatric Care, released by Johns Hopkins University Press on November 1st. The last few reviews of the book have reminded me how divisive the topic can be. While all the reviewers have talked about the book as being readable and dressed in the stories of people, the reviewers themselves have opinions on the topic and let them be known. Let me tell you more. In Committed, we talk about the anti-psychiatry groups, and we give a voice to those who feel psychotropic medications are ineffective, harmful, or even the cause of psychiatric symptoms. Reviewers from these groups have invariable noted that, as psychiatrists, we go on to write about the different aspects of forced care with the supposition that psychiatric treatments work, and we don't do a comprehensive challenge of their efficacy. These reviewers are right: our combined 50+ years of experience is that our treatments are helpful to many people, and we limited our perspective to that of involuntary care. We were not interested in writing a book that questions the efficacy of the treatments -- that's been done by others, and the idea that psychotropic medications don't help everyone or cause some people to have intolerable side effects, is something we discussed in our first book, Shrink Rap: Three Psychiatrists Explain Their Work. 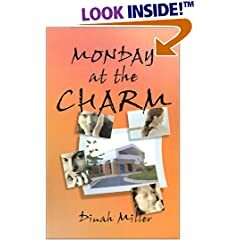 Dinah Miller and Annette Hanson are two of the three psychiatrists who blog at Shrink Rap. After I started blogging, I began to search out other blogging psychiatrists and I found them. They also have articles published in Clinical Psychiatry News. My impression is that they are decent, well-meaning, and thoughtful psychiatrists (not unlike most of the psychiatrists I know) who want to demystify our profession. Their writing is clear, straightforward, and accessible. Like me, they are all practicing psychiatrists and they deal with the pragmatic challenges we face in our daily work. They offer critical views but they overall seem proud of their profession and their careers. While I respect their work, in that area we seem to differ; they do not seem to be burdened by the professional existential angst that besets me. On one topic we agree — the subject of involuntary care is the most vexing, contentious, and troubling topic for psychiatry. To their great credit, they have directed an enormous amount of attention and effort to this subject in their latest book, Committed: The Battle Over Involuntary Psychiatric Care. I found it interesting that later in her review, Steingard talks about the concoction of medications that Eleanor (the patient against involuntary treatment) was placed on in the hospital -- she calls it a 'shocking cocktail" and talks about our 'unexamined confidence.' Ah, Dr. Steingard wasn't there for our behind-the-scenes discussion, or for the article that came out of this particular discussion-- Questioning Psychiatry's Assumptions About Lifelong Antipsychotics-- it was far from unexamined. I was astounded by the cocktail of medicines-- in the Clinical Psychiatry News article, I refer to it as 'enough medication to drop a Clydesdale-- but in criticizing it for Committed, Clink felt we were throwing the treating psychiatrist under the bus. We decided to report the cocktail and leave it to any reader in the know to be shocked (as we were), and suffice it to say, this was not a combination of medications we could imagine prescribing. Does that make it wrong? Eleanor, as the chapter notes, had many side effects, but she also got better. While I don't advocate this particular cocktail, we decided it wasn't fair to comment on another doctor's prescribing when we weren't there and the patient ultimately got better --though not with her own share of distress and trauma from the admission. The Monday morning quarterback always play the game better. Americans act as if they have a covenant that demands of them considerable liberty and privacy. These warranties have, at times and in my opinion, exceeded other warranties such as public safety and the public’s health – sometimes even common sense. Their book first describes the “for” and the “against” arguments for involuntary treatments. They have tapped the nation’s authorities on these subjects so we gain access to the clearest and most informed of sources. Then comes a section on “Civil Rights”, where we learn about the history and processes of commitment laws. The authors then turn their attention to hospitals (general, public and private hospitals), and their delivery of emergency room, inpatient, crisis and outpatient care. They handle this (in fact, all material) in a story-based manner with abundant actual clinical examples, using pseudonyms to protect privacy. It is like we are there to share the dilemmas that patients, families and clinicians face in profound and uncertain ways. We have been pleased: the reviews of Committed: The Battle Over Involuntary Psychiatric Care have been uniformly positive from both sides of the battle field. It is, as we knew, a book that everyone might hate: for the pro-involuntary care side, we don't take a strong enough view; for the anti-forced care side, we are not critical enough of our field. Again, thank you to all the reviewers, and to all of our blog readers who contributed to the book, and to those who inspired us to write it! Be kind to the patients. Patients may be traumatized by involuntary care, so it should not be undertaken lightly. Forcing treatment won't cure society's problems, but there are times when it may well help the individual involved. It's kind of crazy that we put so much emphasis on debating forced care when there are so many people who want the treatments we have to offer but can not access them voluntarily. Our mental health system is a mess and forced care is a very complex topic. If you want to learn more about Committed, do visit our website at CommittedBook.com. Finally, I am going to change the topic and send you over to Pete Earley's blog. I recently wrote about the NAMI elections and how they were really about involuntary treatment. Since then, the elections have happened, and Pete writes about the results in NAMI Elects New Board Members But Not Without Controversy. It's interesting watching this fight. I had a friend (around 1974) who was very very sick. When he was functional, he was one of the smartest people I knew (a comp. sci. researcher at MIT), and he hated the side effects of the medications. So he'd stop taking them, function at full intellectual level for awhile, and then crash. He was unable to recognize the point where he needed the medications more than the side effects hurt him, so he essentially required full time psychiatric care from his friends, which he got for several years. (I was an overly energetic MIT undergrad at the time, and I ran into him walking down the stairs. One step at a very slow one step at a time. He saw my enthusiasm, and wasn't able to respond, knew that he couldn't, and the pain in his eyes was beyond tragic.) On the other hand, the Mad in America folks are spot on, too. The effectiveness of psychiatric medications is proportionally smaller for less severe disease, so the plus from the medication is minimal, but the side effects are full tilt. The US overprescribes these powerful medications something fierce to vast numbers of people for whom the side effects are way worse than the slight help they get. (The latest research shows Zoloft to be no better than placebo for elderly patients (my mother was prescribed it in her later years; oops), but, again, the side effects are just as nasty whomever the patient is.) Oh, yes. And it's hard to get off many of these drugs, so the patients really do have a valid complaint.